Avocado, mixed with onions, cilantro, lime, and lots of garlic for a garlicky guacamole. Have you been following along our exploration of guacamole? Here's Guacamole, Version 1.0 and Guacamole, Version 2.0. Version 3.0 is below, and Guacamole, Version 4.0 goes up next week! Today, we'll make Guacamole, Version 3.0 - the guacamole with the most garlic of the 4. Garlic's got so many alleged health properties I'm not sure I believe them all! Its properties range from antibacterial, antiviral, and antifungal to decreasing the chance of heart disease, as well as lowering cholesterol and blood pressure. In addition, some say it decreases the chance of stomach and colon cancer as well as regulating blood sugar levels. 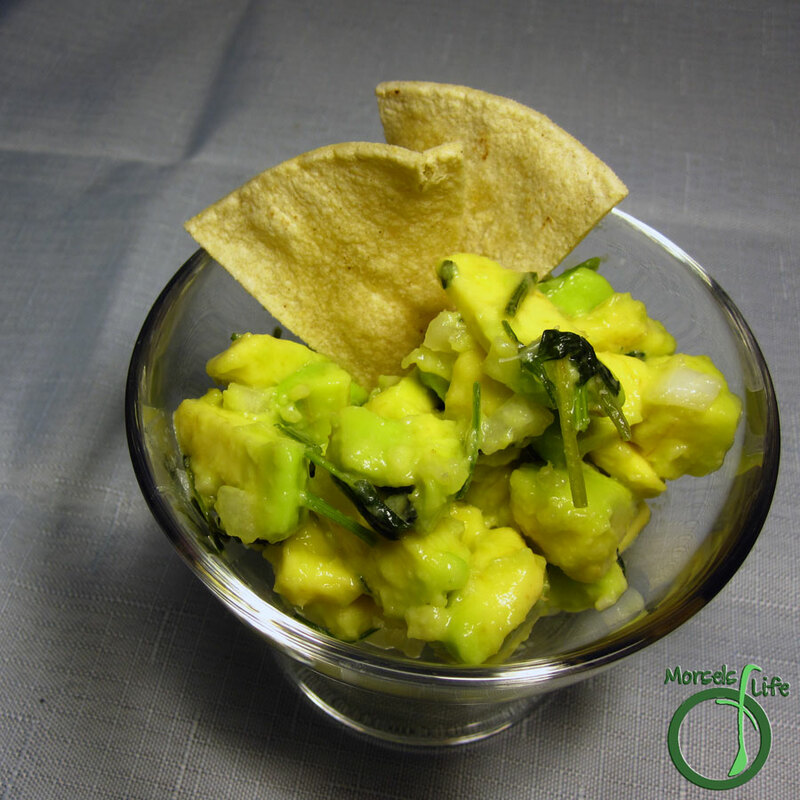 Now that you've learned all these benefits of garlic, why don't you give this guacamole a try? What are your thoughts on garlic?